Meri's blog post today got me thinking (if you haven't read it yet, you should), what I'm I doing to promote World Diabetes Day and helping to educate people on Type 1 Diabetes? I left a comment somewhat joking about getting shirts made up with the blue diabetes ring on it. Nothing more. No words, nothing else to explain the meaning behind the ring. My thought process was that people would see it and ask what it meant, opening the door to explaining a bit about diabetes. Here's my proposal: If enough people like the idea, we can put together an order and get them printed up. We have a printer here that we used for the Team Elise shirts that we really like. Fred has already sent them an email asking for a quote. Leave me a comment and let me know what you think... would you be interested in ordering one? Perhaps I've gone a little mad from all my Mini M&M intake, but I think it's a rather nifty idea. I'm in x's probably 40 or so. I can get lots of family and friends in on it! The school nurse....the CDE, the Endo....it could be a great start! I can see blue already!! BLUE IS GONNA BRING IT! That is hilarious, because I looked online last night on the world diabetes day website to see if they sold shirts with the blue cirle. They don't, but they do sell pins, flags, and blue glow bracelets. I looked on the same website Meri, and was shocked I couldn't find any shirts. Hopefully the printing place will come up with a quote today, and I can figure out what it might cost with shipping. And please feel free to post the image on your site. I think you can right click on it and save as. Or you can put a link to my blog. I'll post some more info as soon as I figure out the logicstics. Yay, I think this could be a very cool thing! I'm going to see if I can get it in kid's sizes too... I think Elise would look stylin' in it! I am a fellow mother to a t1 and I would prolly get one for my whole family. I love the shirt and i loved Meri's post. The internet is a powerful medium. Maybe if we all banded together we can start a huge type 1 awareness movement! I didn't notice that until you pointed it out. I went back and looked around some, and I see what you mean. Maybe we can add the number 1 to the shirt somewhere. On the back (like your number on the team) or in the middle of the circle. Anyone else have an idea? I totally agree with what Jen said. Everything this year and the next few years for world diabetes day is focused around awareness of "diabetes" lifestyle and prevention....TYPE 2!! Which brings us back to our last discussion about how frustrating this "diabetes" name is and all the confusion around it. 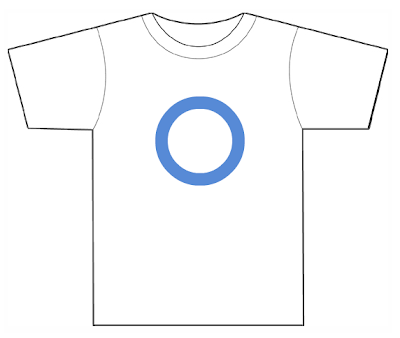 Maybe we should have specific facts about type 1 on the back of the t-shirts to clear up common misconceptions about T1 and have the number 1 or T1 or type 1 in the middle of the circle????? I like the idea of a 1 or T1 in the middle of the circle. Putting it on my blog, too - let's spread some T1 knowledge and awareness!! I know that the site talks mostly of type 2, but they do have posters and brochures for both the types. T1 only and T2 only. I'm excited by the fact that World Diabetes Day is OUR chance to tell the world that that T1 is not T2, they are two separate diseases. It is our opportunity to educate! If we can change the perspective of a handful of people...it will make a difference. We're in! LOVE the idea! And love the idea if it having "type 1" or something on the back. I'm already tired of the "can you just change her diet & it will go away" questions. A shirt for my girl would be great if kid sizes are available. I'll put it on my blog, too!! Thanks for such a great idea! Ps- I also LOVE sweedish fish (especially when warm) & mini m&ms. I think they taste better! I would love to order some. Count me in.